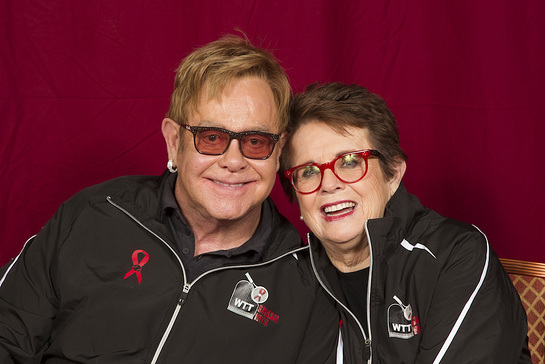 On Monday, October 10, 2016, Sir Elton John and Billie Jean King hosted the 24th annual all-star charity tennis match – World TeamTennis (WTT) Smash Hits at Caesars Palace in Las Vegas, Nevada. The event was a great success, raising more than $600,000 to benefit the Elton John AIDS Foundation (EJAF). 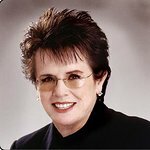 Prior to the match, Elton, Billie Jean, and all of the featured players attended a VIP donor reception and live auction that raised more than $150,000 of the evening’s totals. The players were active bidders in the auction, with Maria Sharapova winning a ticket package for the Broadway hit “Hamilton” and John McEnroe buying an autographed Elton John piano bench. The tennis action took place on a multi-colored tennis court just steps away from where Elton John plays his hit show, “The Million Dollar Piano” at Caesars Palace. 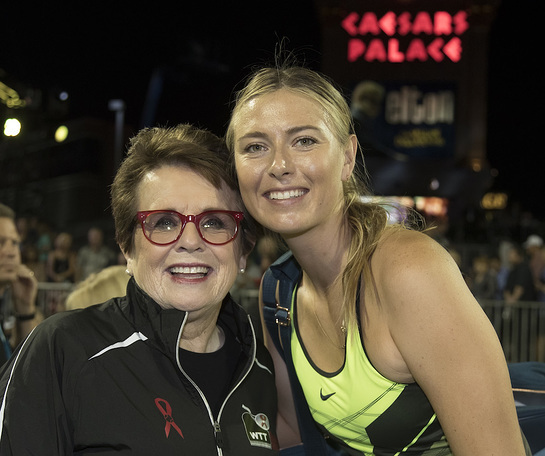 A capacity crowd watched Maria Sharapova’s highly-anticipated return to tennis as she opened the night pairing up with Andy Roddick for a set of celebrity doubles against Elton John and Martina Navratilova. Sharapova and Roddick won 3-1 in an entertaining quick set. Then, tennis stars Mardy Fish, Liezel Huber, Taylor Johnson, John McEnroe, Martina Navratilova, Mark Philippoussis, Andy Roddick, and Maria Sharapova divided into two teams – Team Elton and Team Billie Jean – and treated the sold-out crowd to a modified World TeamTennis match, including one set each of men’s doubles, women’s doubles, men’s singles, women’s singles, and mixed doubles. Team Elton won the match 19-14, giving Team Elton a 13-11 edge in the all-time series. “This highly successful event brings the 24-year cumulative total of dollars raised by Smash Hits to more than $15 million for EJAF’s grant-making initiatives supporting HIV/AIDS-related advocacy, prevention, stigma reduction, and direct treatment, care, and service programs across the United States, the Americas, and the Caribbean,” said EJAF Founder Sir Elton John.